He makes a good point, colleges are supposed to be learning centers; professors, the center of it all, educating people in all aspect of life, even debates and opposition. When they "impose" their will and opinions through threats of lower grades or whatever, they limit learning, evolution of democracy and advance totalitarianism, then again, the radical left, which is what they are, have never been known to embrace democracy and free speech. Ever since radical feminism went on the warpath (specially in colleges) against anything male and those who supported them, their political correctness bandwagon was adopted as a tool by all anti-democratic dark forces, it's a hidden cute word for trying to destroy anything to do with freedom of speech, capitalism and the free market system. 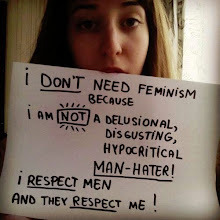 Radical feminists are to stupid, to enveloped in their hate to realize they where used to promote slavery of the people. There is always hardships to battle in order to make things better for our children, our elders went through them, this one seems to be ours. If we sit back, afraid to say anything because we might be called something that ends with "ist or phobia" or begins with "anti", then we are surely looking at the fall of western culture. When we refuse to speak up, we give what we do not agree with, a podium to prosper.